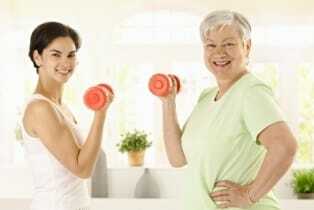 In-Home Personal Fitness Trainer - We Come To You! Serving Charlotte, Monroe, Indian Trail, Weddington, Waxhaw, Matthews Areas . FREE initial consultation with a trial workout! Want a better solution than the gyms or health clubs? Want to get in better physical condition and feel great again? Fitness On Call is a mobile In-Home Physical Fitness Training Service that provide one-on-one workout sessions in the convenience of your own home! If you're like many people, you're not sure where to start with a new exercise routine. That's why we give a FREE initial consultation visit and trial workout! No matter your age, gender, or workout goals, Fitness On Call is for you. Every exercise routine is created for your specific needs. Get the benefits of a personal trainer who knows how to motivate you and keep you energized, without you ever having to leave home! Call us today for more details! There are many pieces that come together to create the total fitness package, but a huge part of it is education and motivation. We'll walk you through the "why" of everything we do, and take extra steps to keep you motivated and excited about your workouts and your new way of life. You won't be sure this is the right program for you until you try it. We're so confident that it can be as life-changing for you as it has been for other clients that we offer you a FREE initial consultation with a trial workout. That's a $55 value that lets you get a feel for us before you pay a cent. Take your first step to fitness for FREE!